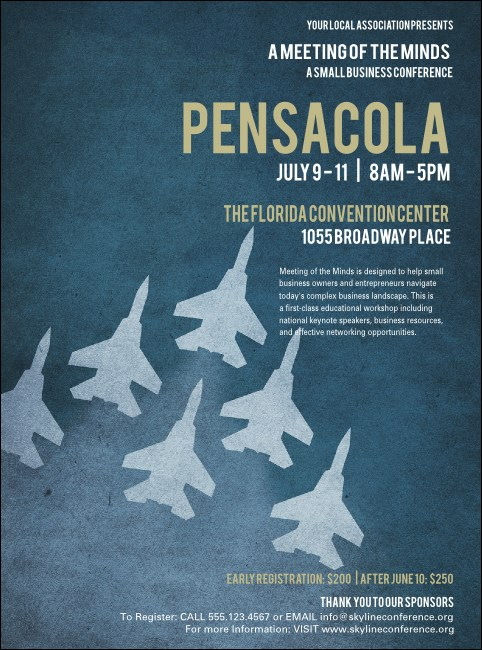 Draw attention to your event in the Western Gate to the Sunshine State with the Pensacola Flyer. With room for all of your event details and a backdrop of five patriotic jets in formation in the blue Florida sky. From Escambia Bay to Myrtle Grove, make a statement in the Gulf State with the Pensacola Flyer.